Make their lives a bit easier with this classy organizer. Ultrahide Simulated Leather has the look and soft feel of rich nappa leather. European turned-edge construction for a clean, contemporary look. Features several multi-purpose pockets for papers, a calculator and more. 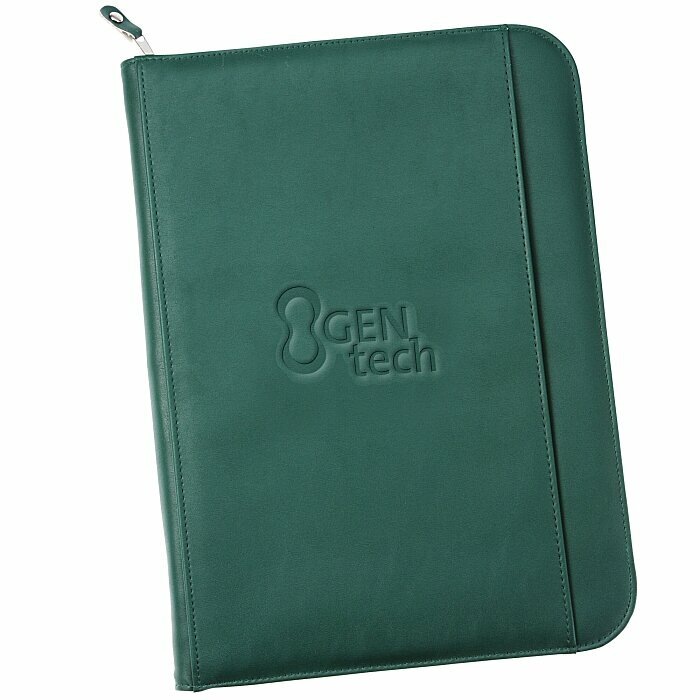 Has a zippered closure, writing pad and a penholder. Size: 13-1/2" x 10" x 1".